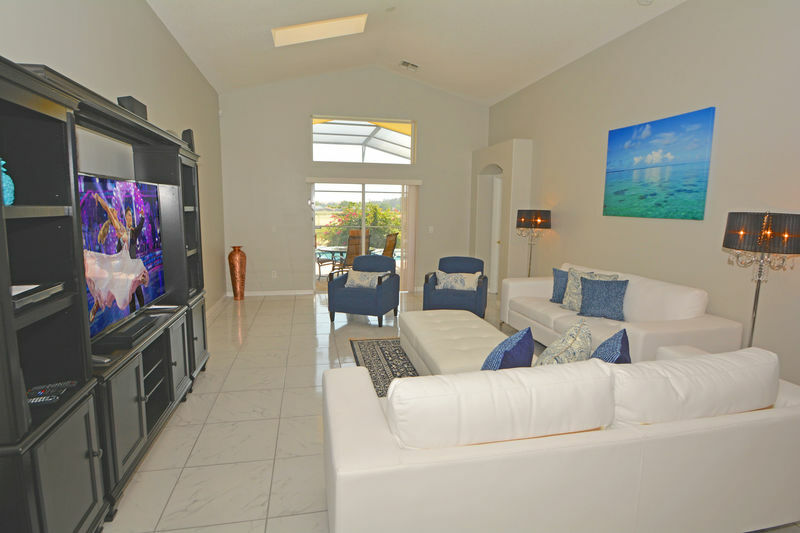 This villa is beautifully decorated and very spacious. 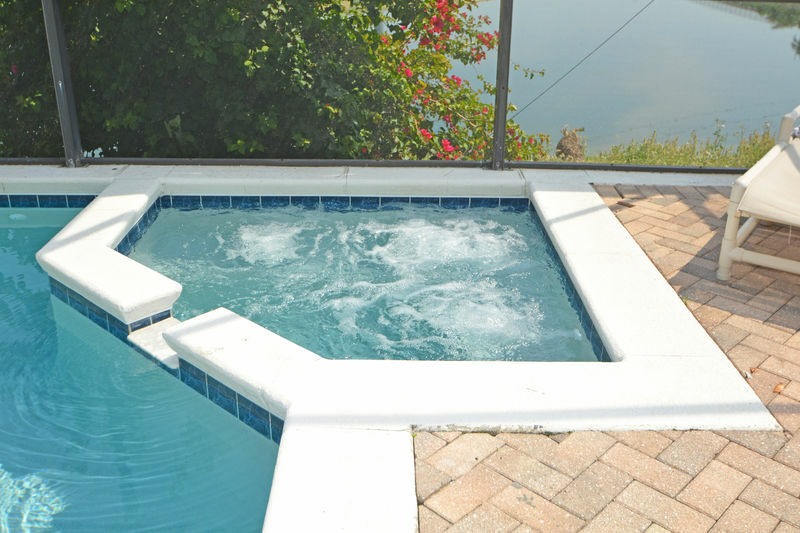 There are 5 bedrooms and 4 bathrooms, of which two are master en-suites. 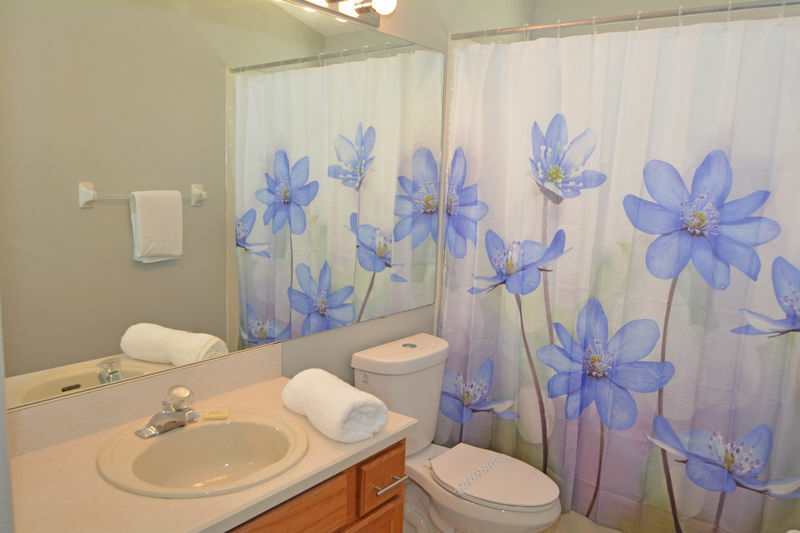 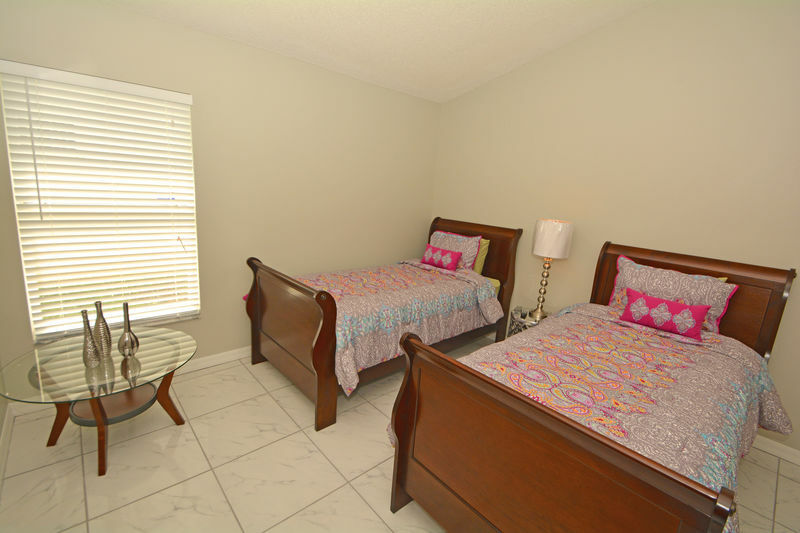 The entire house is tiled for cleanliness and furnished to a very high standard. 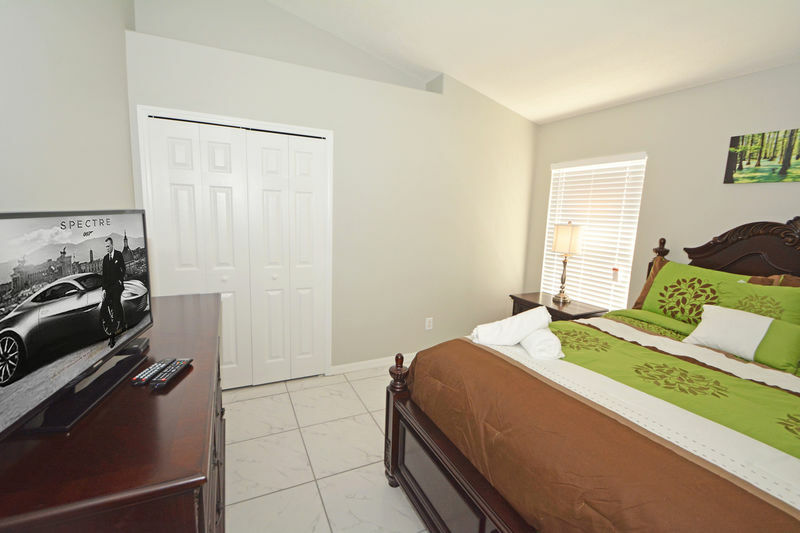 Upon entry there is a queen bedroom with double closet and flatscreen TV. 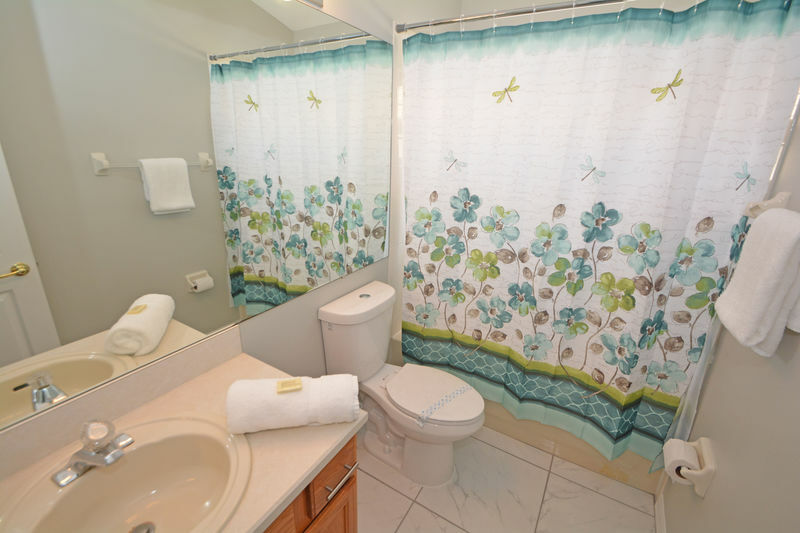 Adjacent bathroom has bath/shower, basin and WC. 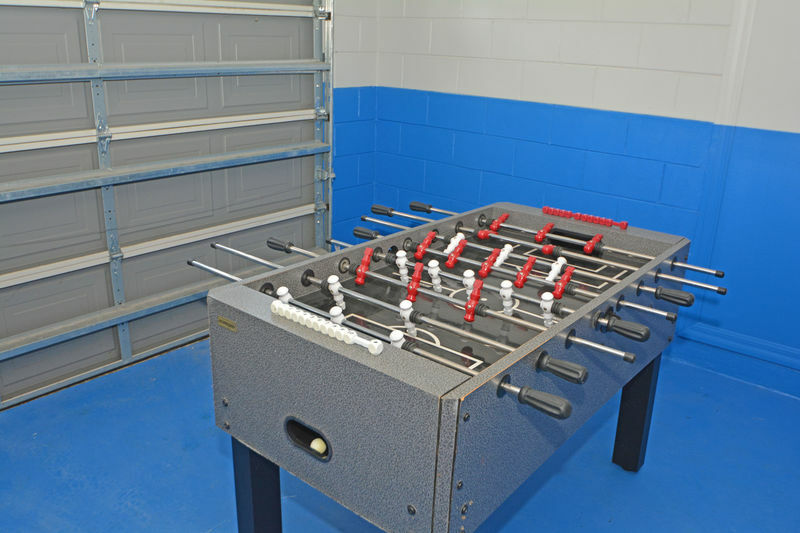 The garage has been converted to a games room with a table football game. 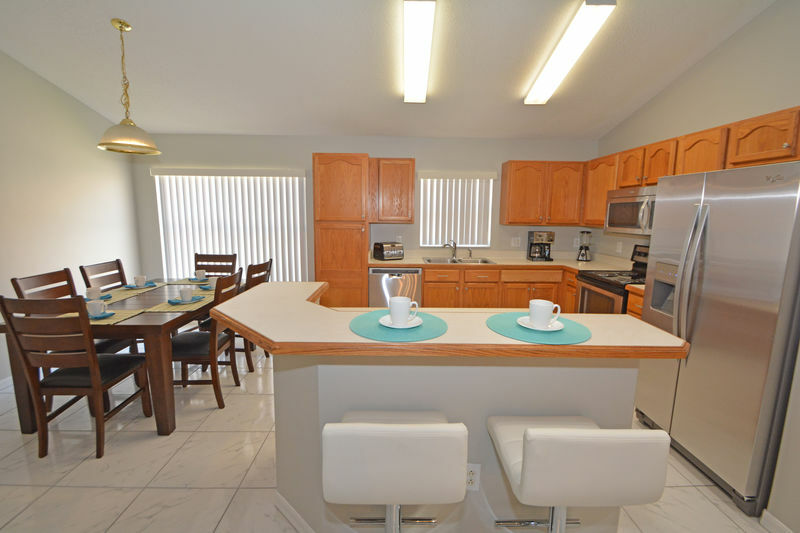 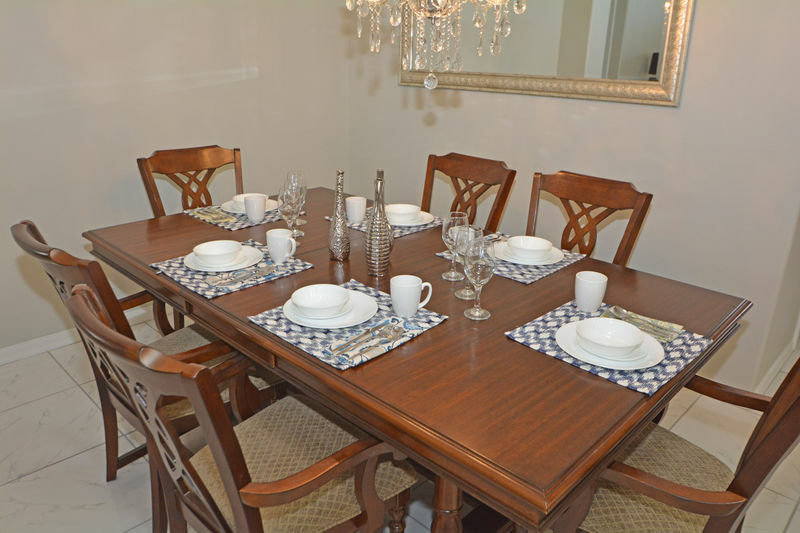 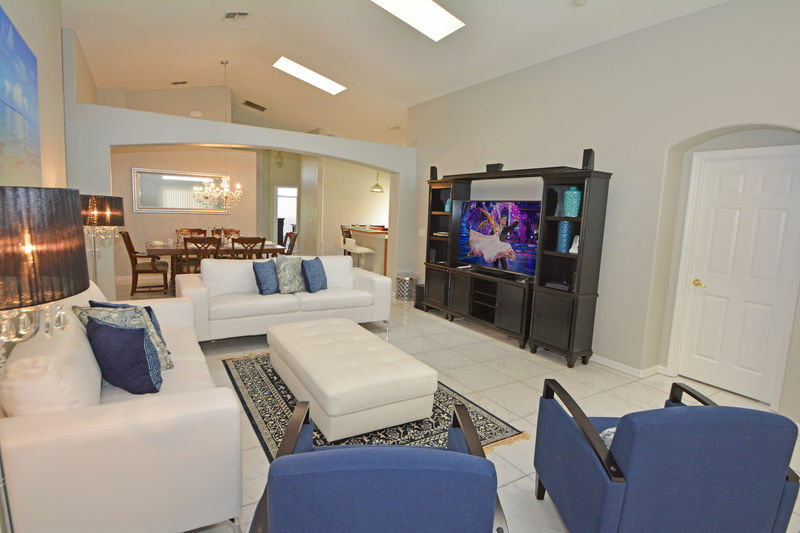 The fully equipped kitchen has brushed stainless appliances, bar seating for 2 and there is a separate breakfast table seating 6 as well as a further dining table that seats 6. 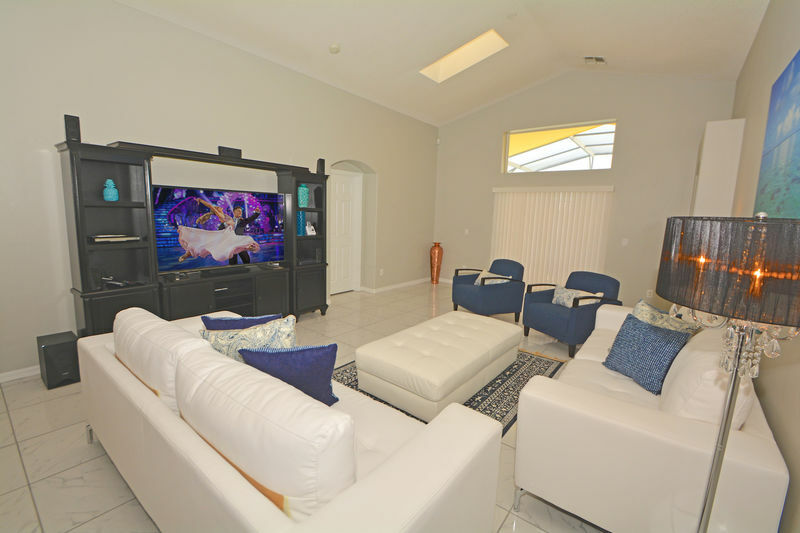 The family seating area has two white leather sofas, leather footstool and two upholstered armchairs, as well as a large flatscreen TV, surround sound system, DVD player and patio doors to pool area. 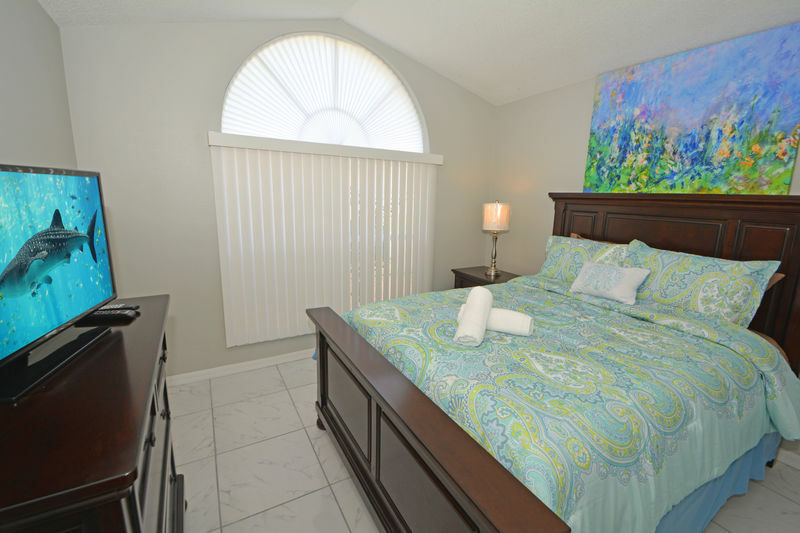 The first master bedroom has king size bed, wall mounted flatscreen TV and en-suite bathroom with oval tub, separate shower cubicle, twin basins, WC, door to pool area and walk in closet. 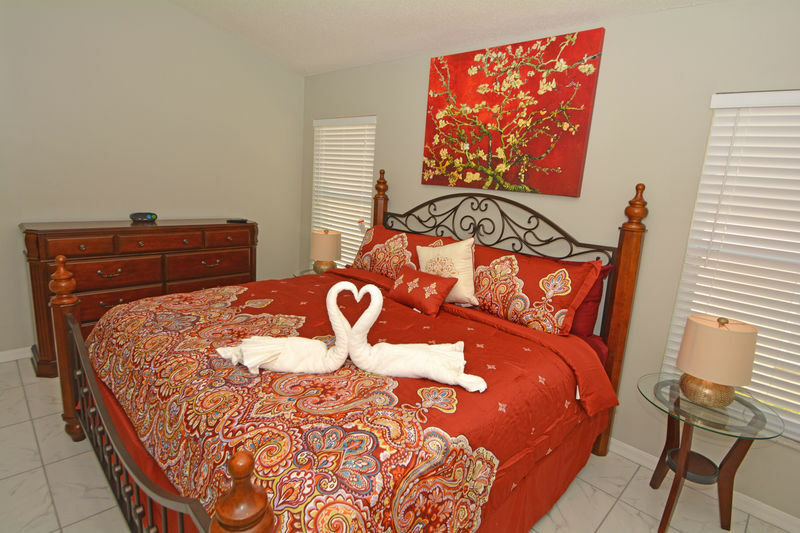 The second master bedroom has a king bed, double closet, flatscreen TV and en-suite bathroom with bath/shower, basin and WC. 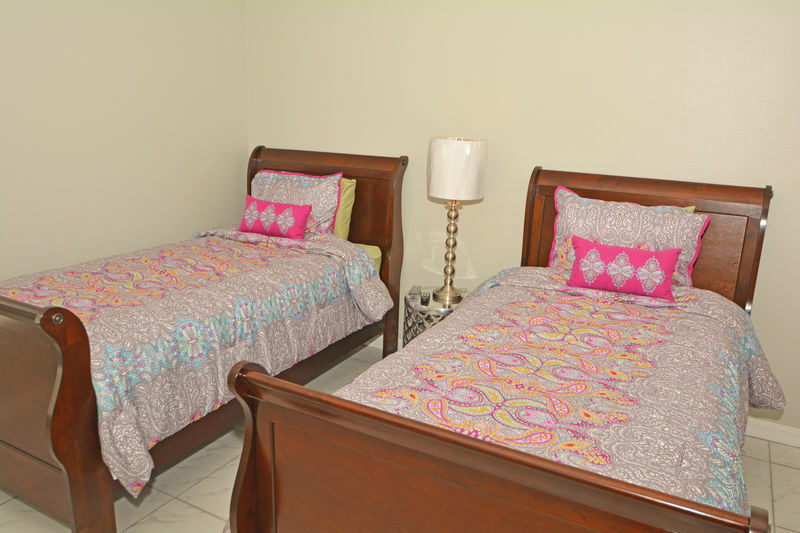 Bedroom 4 has a queen bed, double closet and flatscreen TV and bedroom 5 has twin beds, double closet and flatscreen TV. 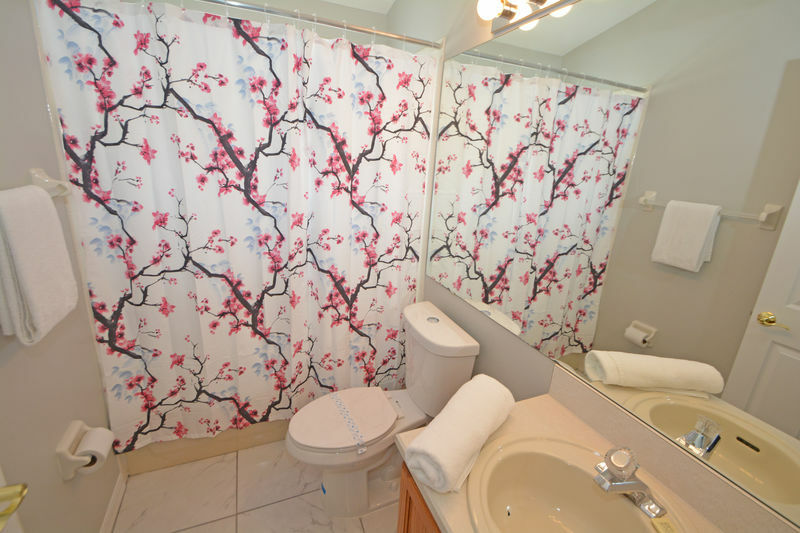 Further family bathroom with bath/shower, basin and WC. 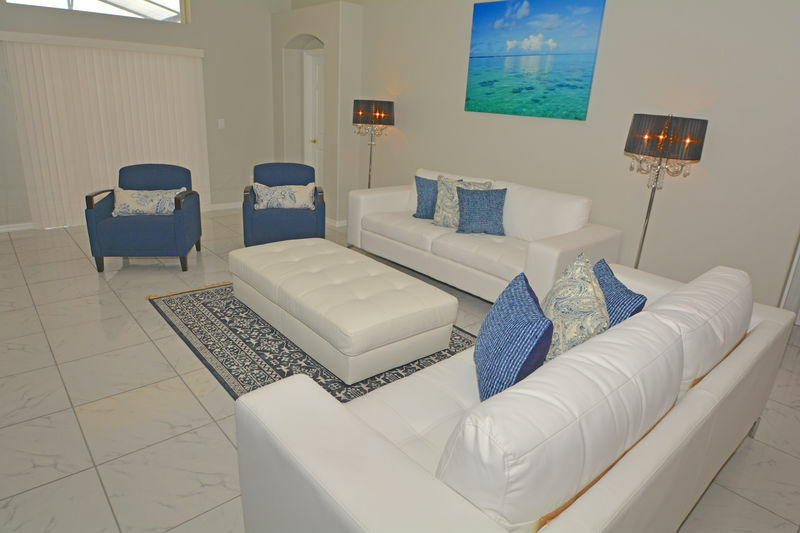 we had a lovely relaxing stay at this villa... beach towels for the pool everything you need was here lots of room for everybody, great location to get to shops and disney. 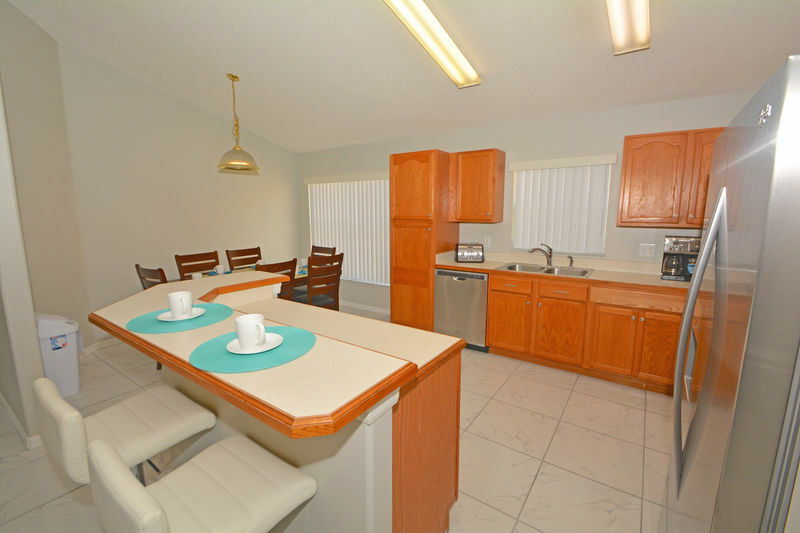 Indian Creek community has our Luxury Series vacation rental properties in the closest possible development to Disney, just 3.5 miles away from the Disney World exit. 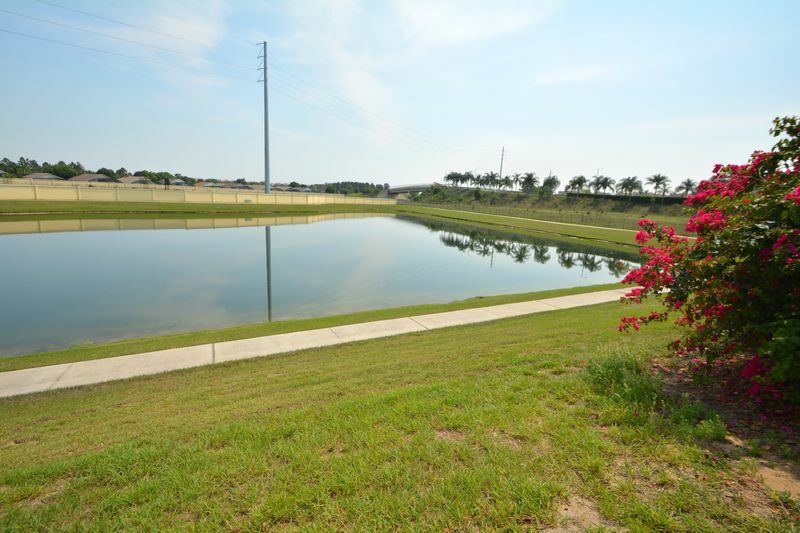 Located 1 mile south of the I-192 West. 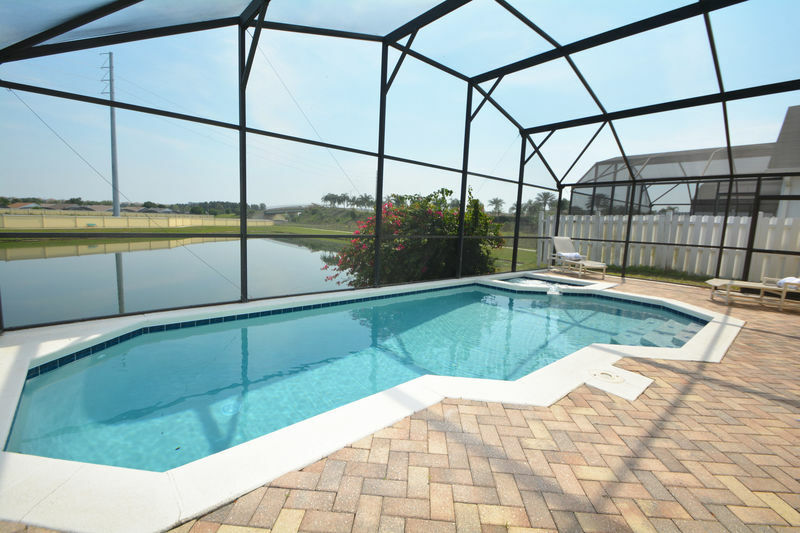 Only a few miles from the I-4. 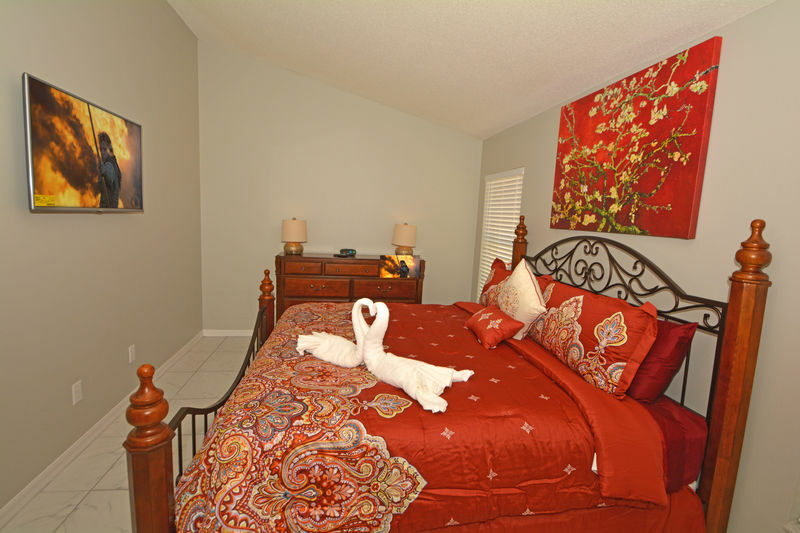 Why chose Indian Creek ? 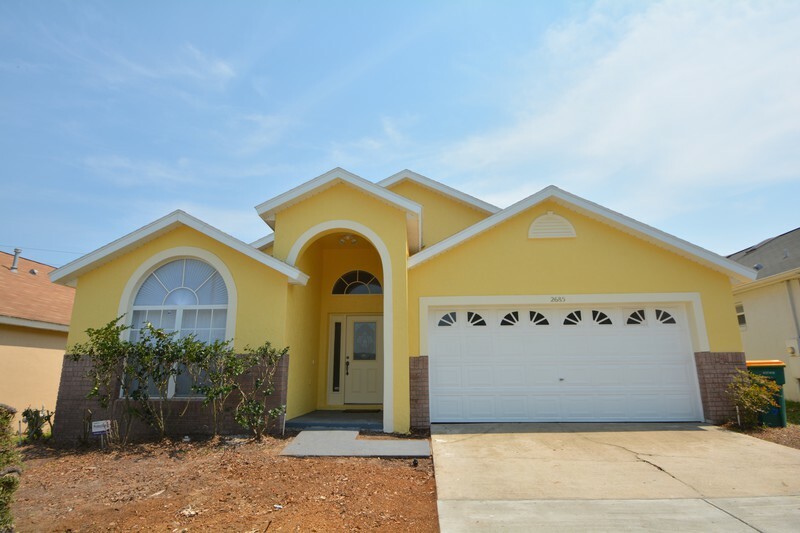 The builders, Greater Homes, have a reputation for high quality homes. 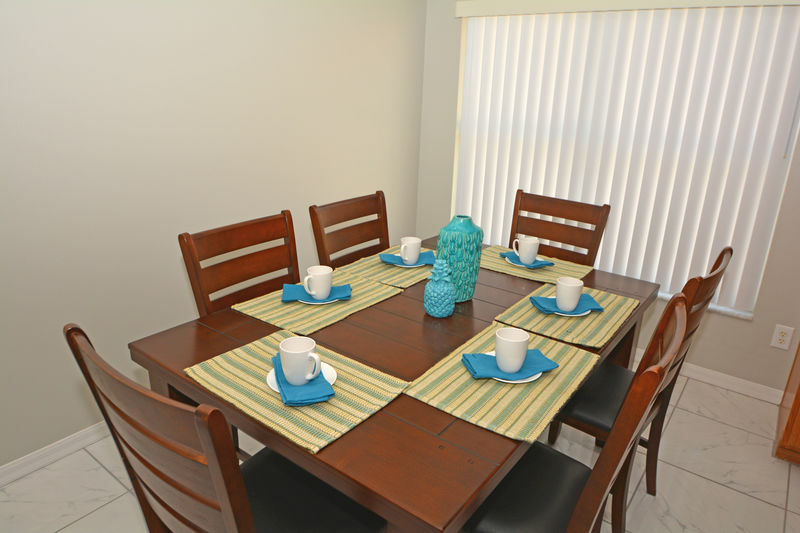 Indian Creek is an ideal location, central to all the Orlando magic. 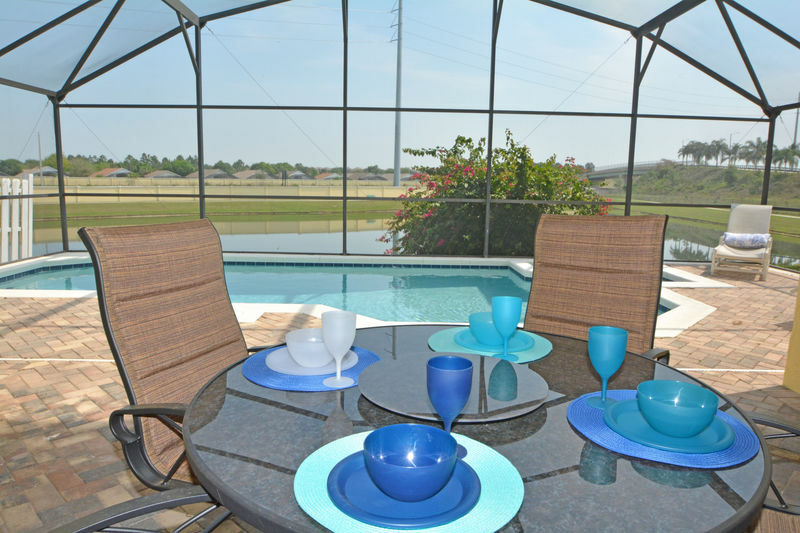 Orlando4Villas opinion, Indian Creek Kissimmee offers much for the family coming on vacation to the Orlando / Kissimmee area. 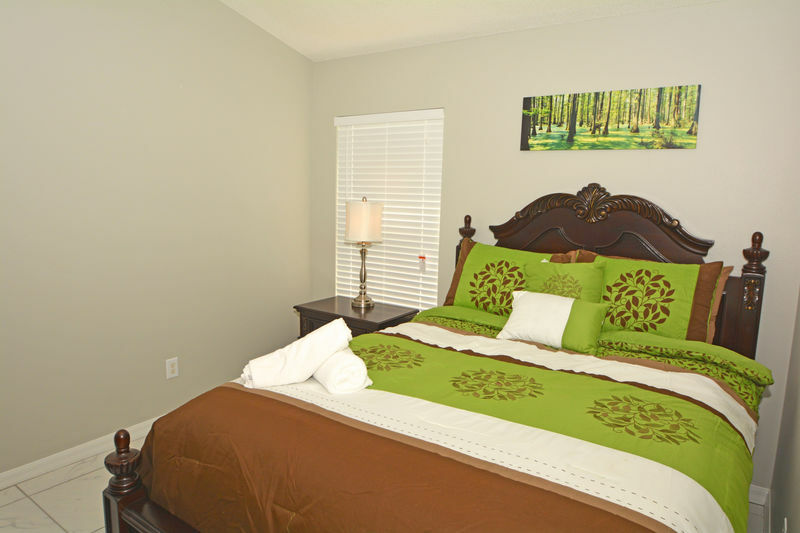 The community Indian Creeek is located perfectly in the middle of all the action Orlando could possible give you with it being minutes away from Walt Disney World main gates to just seconds away from shops and resturantes. 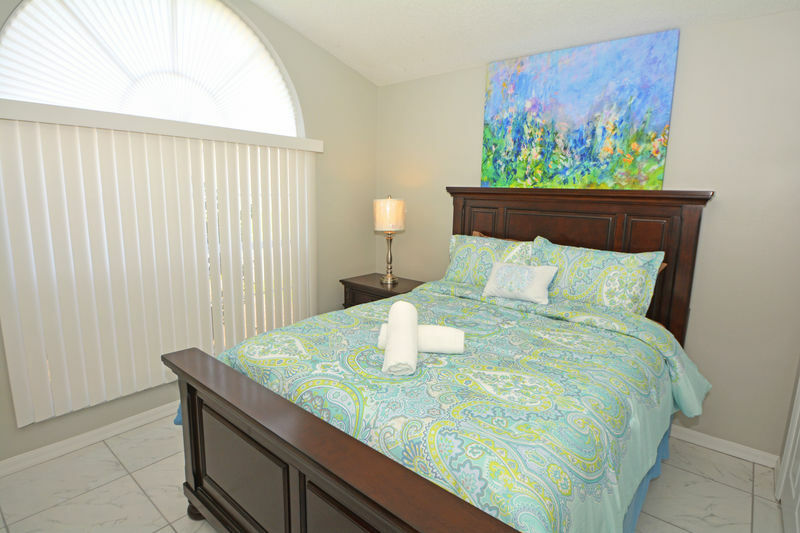 Orlando4Villas has the large selection of vacataion homes available for rent in Indian Creek.